We know from years of research that doctor-patient relationships grounded in effective communication lead to far better health outcomes. But that’s a hard set of skills to teach in a lecture or from a textbook. Which is why Drexel University’s School of Medicine is busy optimizing state-of-the-art video technology to create WebRolePlay, an interactive virtual simulation that empowers emerging health care professionals to hone their interpersonal communications skills in the service of patient-centered treatment. This innovative approach is the latest in the School’s portfolio of technology-enhanced educational resources, designed to teach the “soft skills” of doctor-patient relationship building. It all began with DocCom, a series of interactive, media-rich online education modules that are now being used in nearly forty American medical schools including Harvard, Stanford, Yale and Johns Hopkins. 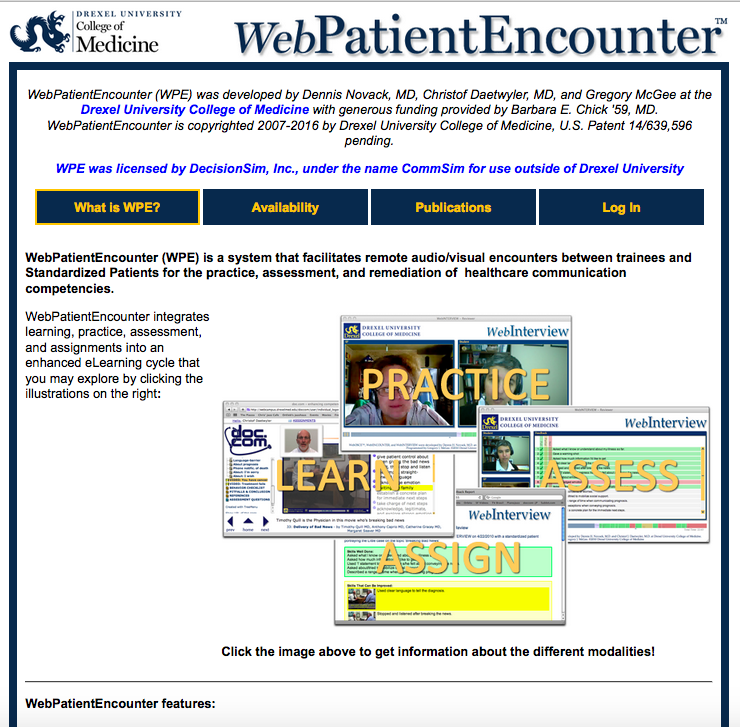 From there, the School of Medicine developed WebPatientEncounter. 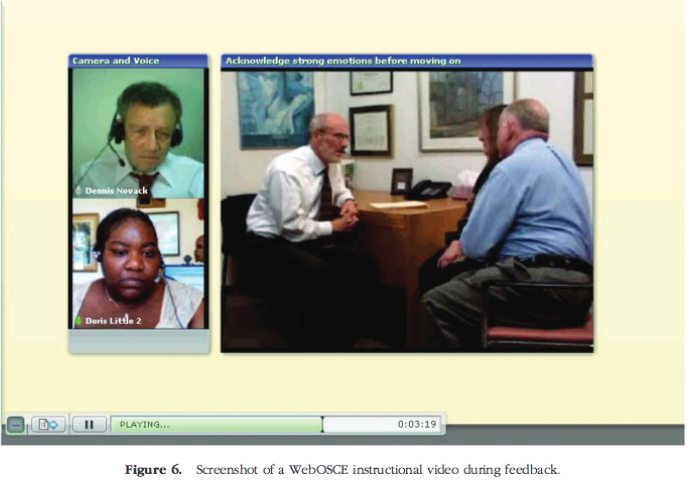 This award-winning video recording tool facilitates remote, one-way role-plays between learners acting as doctors and coaches, as standardized patients using different scenarios to practice, view and further enhance communication skills. 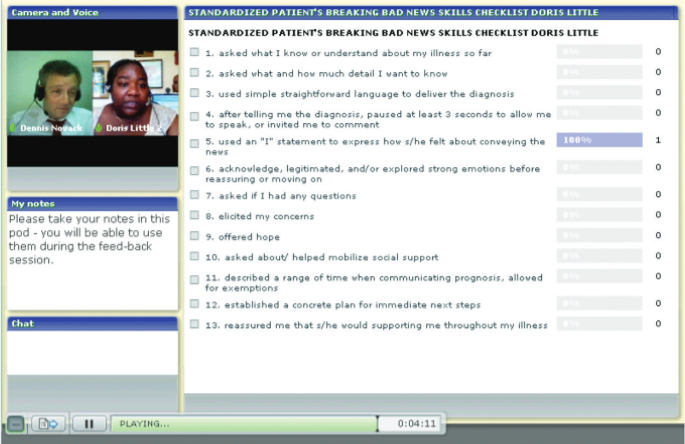 Students can also compare their own videos with those of senior clinicians demonstrating best practice skills. So, in taking it to the next level, the School’s very creative academic team is putting the finishing touches on WebRolePlay which provides greater flexibility and interactivity while reducing both cost and time constraints. This immersive, hands-on, multi-way experience enables as many as twelve students to interact remotely and synchronously moving between both doctor and patient roles all of which is captured on video that can be marked for valuable peer-to-peer feedback around a wealth of interpersonal skills. Equally important, WebRolePlay is a digital simulation tool that can be customized for any professional discipline, where empathy, conflict resolution, and effective communication are of paramount importance. Drexel University College of Medicine is recognized as one of the nation’s leading centers for malaria study, spinal cord research, and HIV/AIDS prevention and therapeutic interventions. Highly respected in numerous other areas, they are well known for creating some of the most rigorous and innovative academic programs available today. By combining their incredible expertise in engineering, technology, and medical research, Drexel is, once again, leading the way by maximizing online learning for medical training. 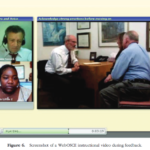 One such program, “DocCom: An interactive learning resource for healthcare communication” (http://doccom.org) is being used at almost 40 US medical schools, including Harvard, Stanford, Yale, and Johns Hopkins, to name just a few. 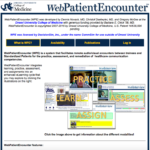 The success of DocCom resulted in several grants for the production of similar educational resources: The National Institute on Drug Abuse’s (NIDA) modules for physician information at http://webcampus.drexelmed.edu/nida, the American Board of Internal Medicine Foundation (ABIM Foundation) “Choosing Wisely” Campaign Physician Education Modules at http://www.choosingwisely.org/resources/modules/, and most recently the reception of a fund by the Arthur Vining Davis Foundations for the production of ProfessionalFormation.org: an authoritative and comprehensive online resource for Professionalism education in the field of healthcare. 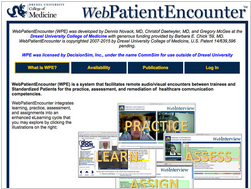 Besides excelling on the creation of modular educational resources, Drexel also develops new technologies that facilitate remote encounters between learners and coaches for the training and assessment of interpersonal skills: WebPatientEncounter (WPE) (https://webcampus.drexelmed.edu/wpe/). WPE was well received by many organizations beyond Drexel. 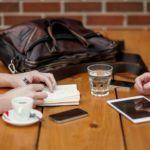 The company Kynectiv (formally DecisionSim) licensed it to enhance communication skills for physicians with the United States Veterans Administration. 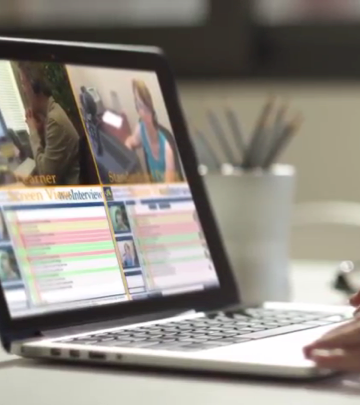 WPE manages online interactions between medical trainees and standardized patients (SPs). Through role-play, a trainee can practice interacting with a patient with certain illnesses. 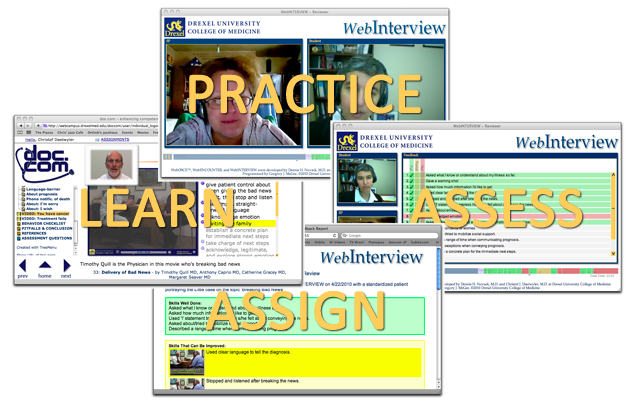 The live online session is recorded and feedback is provided after the role-play. 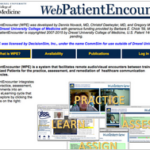 DocCom, another online learning resource program developed by Drexel, enables the recordings to be contrasted to pre-recorded examples of senior clinicians demonstrating effective skills and best practice. While an outstanding program, WPE requires intense logistical support. SPs must be trained and scheduled. Due to its nature, utilizing WPE more frequently and extending its impact is limited. The idea of WebRolePlay, a competency-based online tool, was conceived to take WPE to the next level by providing greater ability to use the program and to relieve costs and time constraints. It is an engaging tool where 2 to 12 students can remotely and synchronously practice and assess interpersonal skills through role-playing. WebRolePlay shifts role-playing from hired SPs to self-organized peer-to-peer learning. 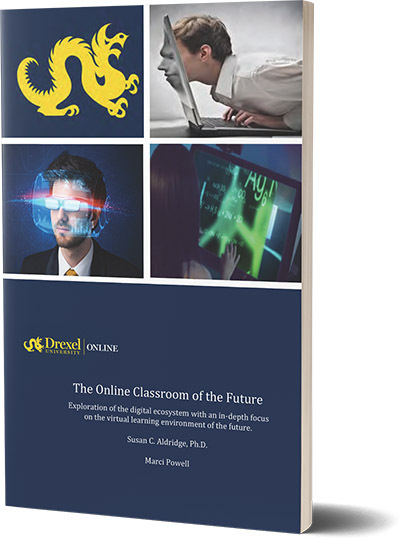 The open-source platform, UBUNTU, and WebRTC are the technologies that enable Drexel to take WPE with its “one-way” student to SP experience and create WebRolePlay, a “multi-way” peer-to-peer practicing, and coaching scenario. Up to 12 participants from different locations can practice in a group experience. WebRolePlay enables students to practice and assess interpersonal skills necessary for the doctor-patient relationship to be successful. To promote empathy and understanding to improve the patient’s experience, the simulation enables students to experience both being the patient and the doctor. One student plays the role of patient and provides feedback to the student who is practicing skills as the doctor. This interaction is captured on video. Other peers can mark when they see interpersonal skills being shown. These markers are used to create a score and connect to the moment in the captured video when the skill was practiced making following feedback simple. Drexel envisions this program to not only be used for developing communication skills for therapeutic relationships with patients, but in any profession where conflict resolution, interpersonal skills, and empathy are important skills to master.